Roofing Company | Waterbury CT | Diamond Roofing Specialist Inc.
Diamond Roofing has been the areas most trusted and recommended local roofer since 1970. By providing excellent services and using quality products like GAF for residential and Firestone for commercial properties, we continue to deliver the best in roofing to Connecticut residents and businesses. Trustworthy salespeople who are not high-pressure salesman telling customers false information just to sell the job. Installers that will provide quality work and are professional, neat & courteous and take pride in their work & your premises. The best materials & warranties backed by our Manufacturer. We stand by our work and customer satisfaction is our #1 priority. Bill’s Career started with his father and uncles when he was 12 years old. At the age of 16, he worked for other roofing companies as an apprentice and installer until the age of 19. 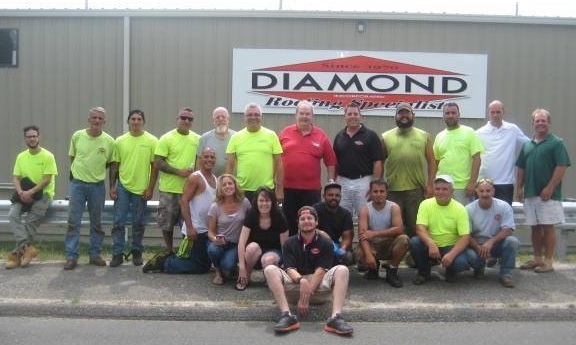 In 1970, Bill opened Diamond Roofing and in 1985 became a corporation that is now known as Diamond Inc. “The Roofing Specialist”. He started with shingle roofing work for residential homes then added condominiums. 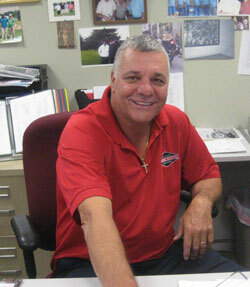 In 1976, he branched off to do flat roofing for the commercial industry. Bill has developed the company to include roofing for homes, condominiums, churches, factories, and hospitals. Bill chose the name Diamond Roofing while driving down South Main Street in Waterbury with his best friend, George Jurewicz, who has been by his side until retiring in December of 2015. They were trying to come up with a name for his company and spotted a building Diamond Ginger-ale. They said what about Diamond… Diamond Roofing & history was made. We continually strive to be leaders in our industry, setting the highest standards for workmanship, attention to detail and adherence to manufacturer and industry approved roofing practices. We are committed to meeting or exceeding all of our clients’ project from start to finish. Licensed by the State of Connecticut #536206. Adequately insured for your protection by Workers Compensation and General Liability. A loyal member of Waterbury Chamber of Commerce since 1992. Voted Waterbury Observer’s Best Roofing Company in 2012, 2011 & 2005. A member of National Roofing Contractors Association. Accepting payments by check, Visa, Mastercard & Discover. Available to accommodate financing arrangements. Committed to providing quality roofing services throughout our community with a proven reputation. Check our references that we provide with every estimate. Dedicated to ongoing professional training to ensure quality installation.